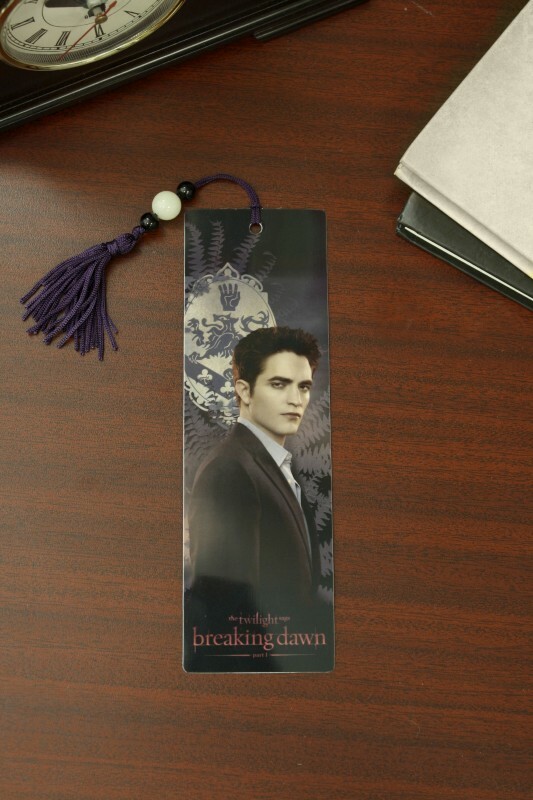 What better way to keep your place in the Twilight Saga books than with this extra hot Breaking Dawn bookmark? Features a portrait of Edward and the Cullen crest on the front, the movie logo on the back, and a beaded tassel. Laminated plastic bookmark measures 7.25×2.25″ and comes in a clear protective sleeve.